The City of London is a thriving, bustling and fun place to be! The area is crammed with commercial office buildings. We have new offices and commercial properties constantly being built. It is not often then that a new residential development comes to market. There is a new residential development known as the Gazzano Building being built and is due for completion later this year but it has been sold out since last year. Located in EC1 (Zone 1) the luxury development is based in the heart of the ever popular Farringdon. For those who are lucky enough to live in the heart of our Capital City, this development is ideal and a mouth-watering prospect. The new building once complete will be 5 storeys high, made up of 8 two bedroom (two bathroom) apartments and two Duplex Penthouse Apartments. The new apartments will be only a 5 minute walk to the new Crossrail network, which is due for completion in 2018. Even before being completed the Gazzano Building is award winning, the most coveted of these is the Royal Institute of British Architects’ (RIBA) Regional Prize. The Gazzano Building is thus a one of a kind opportunity unlike anything else on the market in London and is a great portfolio offering. There are listings for units within the Gazzano Building listed for sale on popular property websites. 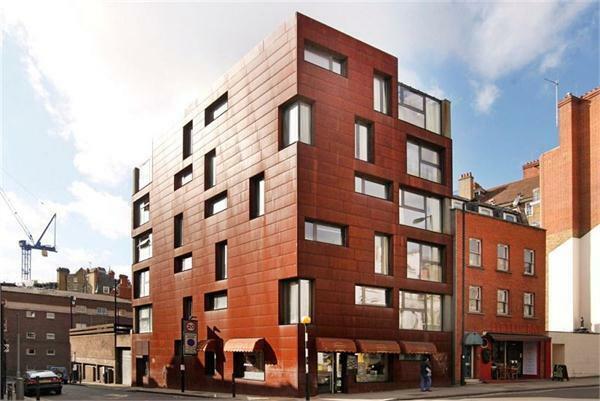 We came across a listing for a 2 bedroom apartment for a tasty £920,000! Another website had a similar unit listed at £960,000 – once they are ready for living they may well fetch over £1 Million. If you are moving into one of these luxury apartments in EC1 and need a hand disposing of your removal rubbish and waste feel free to give us a call or use the form on the right.